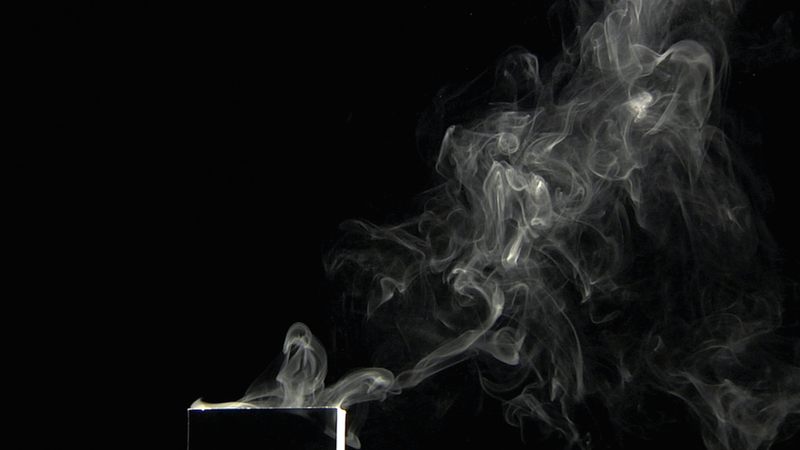 Sum Fong, 2008 - 2015, is a video of the ashes of a single individual. The very fine ashes ascend. Once airborne one can observe them spiraling slowly before eventually disappearing into the ether. The video sequence represents four different versions of the individual Sum Fong. The film loop's cyclical format repeats endlessly. In death there is still movement, a continuum; transforming and constantly in flux.